If you have gone through the trauma of betrayal, no matter how long ago it was~ get this book immediately and clear time not just for reading; for healing. The journey through this book is a healing experience that helps us to understand what we’ve gone through, to name the invisible, hidden cracks this trauma inflicted in our psyche, to validate our soulful intuition and finally to help us emerge into an ecstatic experience of self-love and higher love. 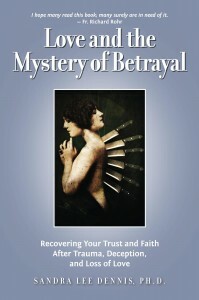 If you are going through the trauma of betrayal now, get many copies of the book. One if for you. The other is for your closest friends and relatives; your support system, and one or two for the healer or therapist of your choice. This book is your blueprint through the dark stormy seas of betrayal into the harbor of radiant health. I have not posted for a bit more than two weeks, with a few exceptions, and if you’ve missed the daily inspirations or thought I’d forgotten you, that’s not the case, my beloved reader. I am in healing right now. Well, it has been like that for a while. Technical problems snowballed into a big avalanche. I was already booked to the fullest capacity, finishing the novel to send it to print, finishing two books at different stages of productions and creating several stories for my upcoming Story Lovers Club. And then the snowball grew. 1. My site was hacked and I had to do WP upgrades and cleansing. Well, my host did it, but that stopped everything for a few day. 2. Then my two membership sites broke because of the upgrades. 3. This sent me –already delayed–into a frenze of finding new memberships and realizing that the flow of delivery and cash flow had been fragmented. Say this healing prayer out loud. You can learn it and sing it often. Each verse includes the sounds and feelings to heal or nurture an organ in your body. The words that contain the healing sound, as well as the organ, are in bold. You can repeat the words that contain the sound 2-3 times when you say each verse. To enhance the healing, smile from your heart in gratitude for this organ. 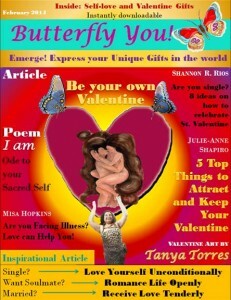 In the Valentine Issue of my beautiful Butterfly You! digital magazine, I have a treat for you, my beloved Tribe. I include 4 articles by love experts who are inspiring and guiding you to attract a soulmate and ignite your relationship by being in love with yourself first. Yes, this is an issue with streams of self-love! I also included a poem entitled “I Am,” an Ode to your Sacred Self —with instructions on how to write this ode as a ceremony to build self-love and self-appreciation. In this issue I share my three best secrets on creating love in your life, secrets that I have gathered as a Wise Woman in more than 50 years of living and loving deeply. Read it to learn how to attract the kind of love that brings magic to your life and to renew your marriage with tender passion. Where’s your blessing? Inside your Curse! 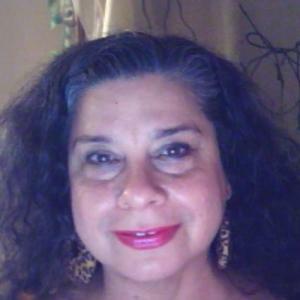 As a shaman who has helped thousands of women in three continents to heal their emotional wounds ~and from my own healing path~ I have learned that avoiding your pain is the easiest way to avoid your power. How can this be? Isn’t it better to drop pain and embrace one’s blessings? I’ve learned that your blessings are pulsating, summoning you from the depth of the pain-filled emotional wounds that you may see as your personal curse. Your Personal Medicine is INSIDE your Emotional Wound. You are wounded in the very places where you are powerful, so that in digging out the poison from that wound, you find your unique power, your Personal Medicine. Do not fear pain. It is never as strong as the price you pay for avoiding your own vulnerability. Do not avoid pain, for in doing this you miss your unique truth, your success story and your Personal Medicine. Need help in finding the “Cure” in your “Curse?” See the resource below, created with love for you. Historically, women have lacked support, entitlement and validation for centuries. There is one source of support, however, that has kept us strong; and that is the Goddess Circle. Whether it is a circle of family women, friends or a like-hearted community of women, solidarity and sisterhood has allowed women not only to survive our political slavery for centuries, but to thrive and help our families and communities thrive. 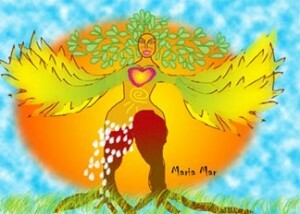 Do you have a Goddess Circle? This article is an extra yummy treat in the Women’s History Month Series. I did one article per month, but I don’t know how, there is still one month to go (perhaps I started earlier or the abundance of the Goddess created more space), so here’s the delicious dessert for the series.